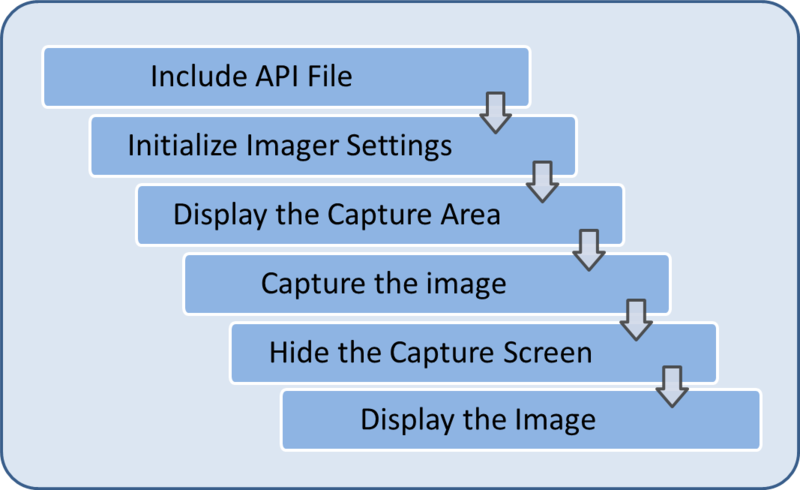 This tutorial covers the use of the Enterprise Browser Imager API for capturing images using a device's camera hardware. 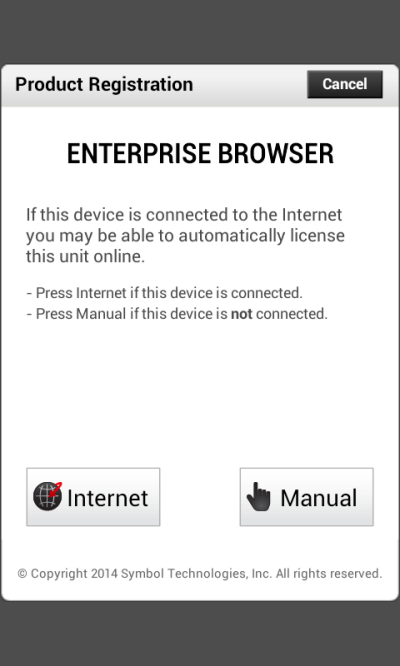 Enterprise Browser includes an API for capturing images using a device's on board camera hardware. The steps shown below are typical for code that uses this API. The following tutorial will walk through creating a working example application using these steps. Create a file named imgcap.html in your application directory and open it in a text editor. Add four input buttons to the controls div of imgcap.html. The first button will be used to activate the image capture area. The others will be used to cancel the capture, capture an image and clear a currently displayed image. Add an img element to the content div that can be used to display captured images. Add the following to imgcap.html as the first line in the HEAD section. Add the method fnImgCaptureEnable() (without the line numbers) to the SCRIPT section, which is between the end BODY tag and the end HTML tag. Lines 2-5 set the on-screen location of the displayed image capture area. Line 6 sets a callback function that will be called after an image capture is triggered. Line 7 maps the hardware trigger on the device to a function used to execute the image capture. And line 8 calls the enable() function, which displays the image capture area. DO NOT include the line numbers in your app. This method will be called when the user clicks on the Capture button or uses the device's hardware trigger button. The capture() method will trigger the API to save the current image and use that data to execute the previously set callback function. After displaying the image capture area, there may be situations in which the user decides not to take a picture. In such cases, the fnImgCaptureDisable() method is used to cancel the image capture and un-map the hardware trigger button. This method takes the image that has been passed as data in the capData JSON object and assigns it to the src attribute of the img display element which displays the image on-screen. Create a directory on your device for the Imager application. Make sure the directory is in an unrestricted location to avoid any permissions issues when Enterprise Browser tries to open the files. We'll place our sample app's files in the device's root directory and show you how to modify the config.xml file accordingly. Update the StartPage setting in config.xml to point to the location on the device where you placed imager.html and save the changes. 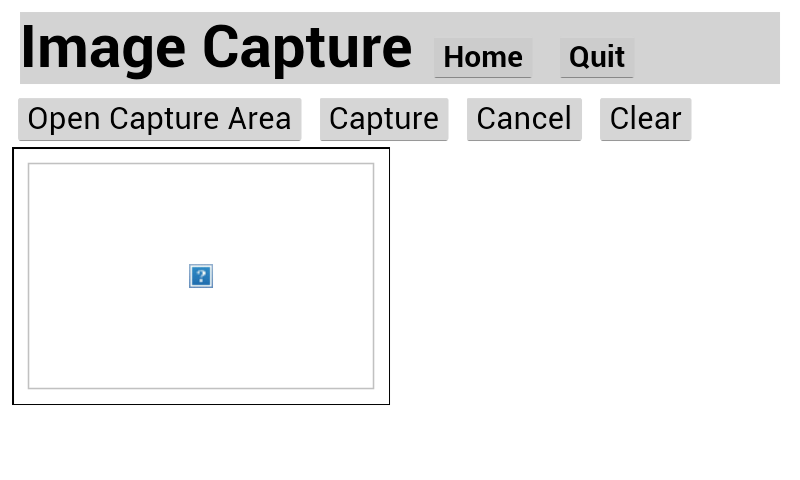 Click on the Open Capture Area button to open the capture area. As you move the device around you will see the image change to whatever the device is pointing at. Focus on the desired image and click on the Capture button. The image is now fixed and will not change as you move the device around. Click the Clear button and then click the Open Capture Area button again to open the capture area. Once you see that the area is active click on the Cancel button to cancel the capture. The image on the screen will be removed and the image display area will be empty again. 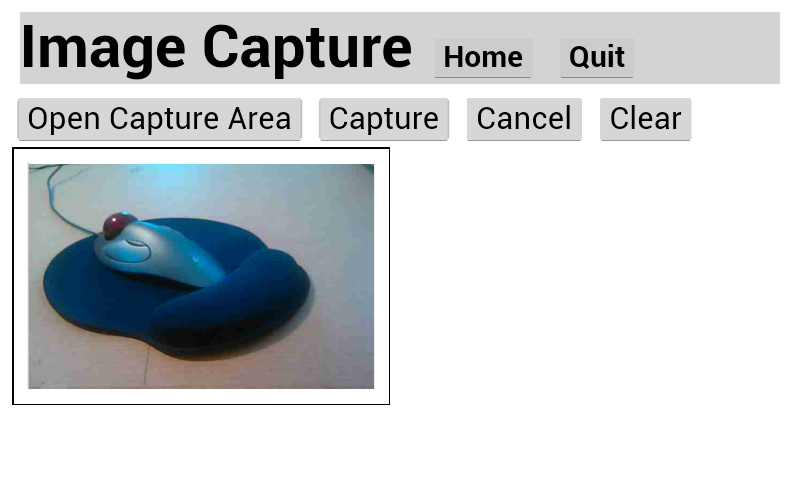 This completes the Enterprise Browser Imager API tutorial. For more information on the Imager API, please refer to the Enterprise Browser Imager API documentation.